Insurers are quite familiar with the use of high-low arbitration agreements in the context of liability claims. A variant of the high-low agreement can be used, quite effectively, in the context of a liability claim that “turns on coverage.” For example, assume liability is not disputed and the damages range between $75,000-$100,000, but payment on the claim is dependent on the outcome of a coverage issue. The insurer does not want to incur the expense of defending the underlying lawsuit – which is largely irrelevant as liability and damages are not really disputed and, in any event, its payment obligation hinges on coverage. At the same time, the insurer does not want to deny coverage for the claim against the insured and risk a potential Miller-Shugart agreement wherein the insured, in exchange for a release, stipulates to a judgment (often inflated) to be collected only from the proceeds of the insurance policy. See Miller v. Shugart, 316 N.W.2d 729, 735 (Minn. 1982). In this type of situation, the insurer can eliminate the need to defend the underlying lawsuit, eliminate the risk of a Miller-Shugart and cap its top-end exposure by entering into a “High-Low Coverage Agreement” with the claimant. Under this type of agreement, the insurer will commence a declaratory judgment action and agree to pay a low (say $5,000) regardless of the outcome of the declaratory judgment action and an additional amount (say $70,000) if coverage is established, in exchange for the claimant’s agreement to release the insured from any personal liability. This type of agreement has several benefits: First, the insured is relieved of all personal liability (which, in turn, eliminates any bad faith potential). Second, the claimant: (a) does not have to incur the costs (and time) associated with prosecuting the underlying liability action against the insured; (b) receives the guaranteed “low” ($5,000 in my example – sufficient to cover the hard costs associated with defending the declaratory judgment action); and (c) the right to collect an additional amount ($70,000 in my example) if coverage is in fact established by final judgment in the declaratory judgment action. Third, the insurer: (a) does not have to retain counsel to defend the insured in the underlying liability action; (b) incurs no costs in litigating the “irrelevant” liability/damage issues; (c) eliminates the risk of a Miller-Shugart; and (d) caps its top-end exposure. The latter is helpful for setting reserves. In addition, the insured, who has been released from all liability and no longer faces the prospect of an uninsured exposure, may be more cooperative in the declaratory judgment action. 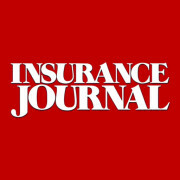 The insurer/claimant can also agree to submit the “coverage” issue to a binding neutral coverage evaluation process or binding arbitration (and split the costs) rather than prosecuting the coverage issues in a declaratory judgment action. This entry was posted in Auto Dealer, BAP, CGL, Coverage and tagged Defense Fees, Gregory J. Johnson, High-Low Agreements, Insurance, Insurance Law. Bookmark the permalink.